Activision has set a new benchmark for Wii shooters with the release of ´Golden Eye´, the remake of the classic N64 game. Every Wii owners even vaguely interested in action should purchase this game. The graphics are astounding, the levels beautifully crafted, character animations are extremely fluid and lifelike, the AI is among the best I have experienced in any game, the actors' performance ranges from good to excellent, the music score is a perfect fit and the frame rate almost never slips below a comfortable measure guaranteeing fluid camera movements. And that is not to mention the online multiplayer, which will keep you occupied for many months after you finish the engaging single-player campaign. Joystiq has a full review here, if you want to find out more details. But believe me: this is as close to a 360 or PS3 game as you are going to get on Wii. And even across all platforms, ´Golden Eye´ is just a great shooter that can be compared with any other title in the genre. Just how did they get those graphics out of the machine? Me and another expert believe that there are horizontal lines missing in order to maintain the overall graphic quality at a stable framerate. I have contacted the studio Eurocom for confirmation and will update soon. ´Call of Duty: Black Ops´ is pretty good on the Wii, too, but you will experience framerate difficulties here and there. If you want the best action game on the platform, ´GoldenEye´ is it. As brilliant as 2D Donkey Kong (which according to Eurogamer is a strong contender for the best looking title on the Wii platform)might look, after playing Vanquish for a couple of hours I cant help but realize what a hopelessly ancient piece of tech the Wii truely is in terms of performance. I mean that game alone Vanquish is so far beyond anything you could ever dream of in 100 years on wii its not funny anymore the difference. It got perfectly rounded and painstakingly detailed architecture and texturework that stretches to the horizon enemy and charact er models constructed of thousands of polygons and a fright ingly realistic blur effect for movement. Incidentally, Goldeneye looks ok imo but its most definitly not impressive not even for a wii game at least from what I ve seen so far. I think that DKCRs 2D style pretty much nailed it in terms of looks making the best of what the Wii is capable of within its boundaries with its rich colors, clean sharp textures and detailed round models. In my opinion it truely is the best looking title on Wii until the next Zelda comes out. t got perfectly rounded and painstakingly detailed architecture and texturework that stretches to the horizon enemy and charact er models constructed of thousands of polygons and a fright ingly realistic blur effect for movement. This is a very pretty game to look at but playing it just feels terrible. There is just too much happening on the screen and details always get in the way. All I'm trying to say is that less detail isn't a bad thing. Can you please hire someone to check your grammar? It is shocking and I dont even bother to ready your posts due to it. 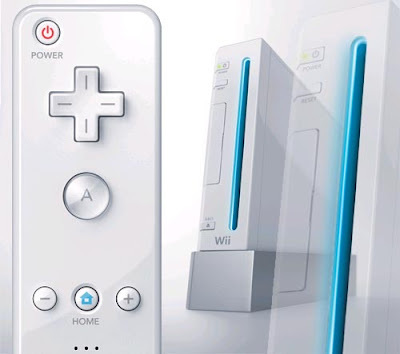 Ive lost interest in Wii bar a few games...looking forward to a HD upgrade to Wii II. just because its selling doesnt mean the graphics are good. The graphics are horrible. METROID OTHER M COULD HAVE LOOKED SO MUCH BETTER ON BETTER HARDWARE!!!!! I think Golden Eye is great. It was one of my favorites on N64, and it's a close match. It's really hard for me to move around and shoot, but I think I am getting used to it. I would like to be the supporter of yours.Thank you for sharing!I think these are very valuable information.I would like to be able to help many people. Activision offersbuy D3 Gold collection a different standard with regard to Wii system shooters while using relieve ′Golden Eye′, the rebuilding of the vintage N64 sport. Every Wii system entrepreneurs even vaguely consideringGuild Wars 2 Gold actions should purchase farmville.